According to Billboard.com, THE BEATLES catalog of albums - including those titles not part of its new reissue series - sold a combined 626,000 units in the US last week according to SoundScan. In the week previous (week ending Sept. 6), the band's collective albums sold just 21,000. Up through the week ending Sept. 6, the Beatles' catalog had sold 635,000 in the U.S. this year, thus, with this week's haul of 626,000, that brings the Beatles' 2009 sum to 1,261,000. In the whole of 2008, the band sold 1,393,000 albums in the US. Since SoundScan began tracking music sales in 1991, the Beatles have never sold less than 1 million albums in a year. The group's best year came in 2000, when the release of its hits package 1 helped the band sell a total of 7,289,000 in the US. The biggest seller of the reissue series last week was 1969's Abbey Road, which moved 89,000 copies and debuts at No. 3 on the Top Comprehensive Albums chart. Abbey also starts at No. 1 on the Top Pop Catalog Albums chart. It does not appear on the Billboard 200. 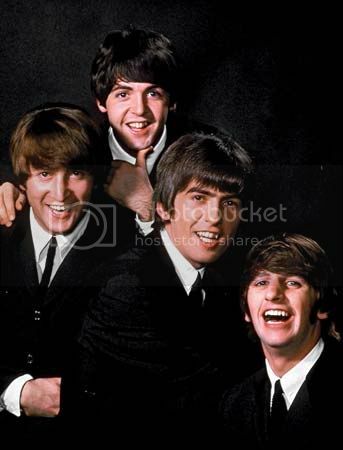 All of the Beatles' individual album reissues are eligible to chart on both the Top Comprehensive Albums chart and Top Pop Catalog Albums chart. The former houses all albums, regardless of their age, while the latter is for those 18 months or older. The Billboard 200 tally includes only current and new releases. So, the band's two new boxed sets Beatles in Stereo and Beatles in Mono will chart on the Billboard 200, while the individual album reissues of the Beatles' catalog will chart on the Top Comprehensive Albums and Top Pop Catalog Albums charts. While Abbey Road was the best-seller of the Beatles' reissues last week, the rest of the series did quite well. In order of the best-sellers following Abbey, we have: Sgt. Pepper's Lonely Hearts Club Band (74,000), The White Album (60,000), Rubber Soul (58,000), Revolver (46,000), Help! (39,000), Let It Be (32,000), Past Masters Vols. I and II (31,000), Magical Mystery Tour (30,000), A Hard Day's Night (29,000), The Beatles in Stereo (26,000), Please Please Me (23,000), With the Beatles (22,000), Beatles For Sale (21,000), Yellow Submarine (14,000) and The Beatles in Mono (12,000). The Stereo and Mono boxed sets will debut at Nos. 15 and 40, respectively, on the Billboard 200. On the Comprehensive Albums chart, Abbey will be joined in the top 10 by four other Beatles sets: Pepper's (No. 5), White Album (No. 7), Rubber (No. 8) and Revolver (No. 10). On the Top Pop Catalog chart, the Beatles will own nine out of the top 10 slots, with only MICHAEL JACKSON's Number Ones (No. 6 with 45,000) the lone non-Fab Four title. Check out The Beatles store at Amazon for all the remastered catalog. Check out newly unearthed rare Beatles video below.